Readers have been asking for an overview of yesterday's seminar in London. My starting point was the decision for the Cultural Property Advisory Committee to review the MOU with Italy (on Wednesday) [see discussion of 2001 presentations]. 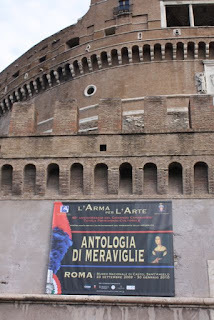 We considered the way that Italy has been increasing the protection of its cultural property, action that has celebrated in a series of exhibitions dispaying returned material. The returns from North American museums and the ongoing trial of Robert Hecht and Marion True serve as disincentives for those who would want to buy recently surfaced antiquities (see earlier comments). A review of the returns of antiquities from North American museums has shed light on some of the dealers, galleries and auction houses that were handling recently surfaced material. There was a reflection on Apulian pots attributed to the Darius painter which supported Ricardo Elia's work on this area. I also addressed the question of the missing memorandum that sought to discredit Elia's research. We reviewed the October 2008 Bonhams sales of the Graham Geddes collection and the way that the Italian authorities were able to challenge the auction. In the questions members of the audience wondered how reputable museums had been able to accept this recently surfaced material on loan. Examples of returns to Greece and Egypt were also provided. The seminar was reminded of the Greek request from the Michael C. Carlos Museum at Emory University, and FYROM's desire to reclaim the Koreschnica bronze krater thought to be in a North American private collection. The presentation closed with a summary analysis of the sale of antiquities at Sotheby's New York in the period 1998 to 2009. It is hoped to make an online version of the lecture available shortly.